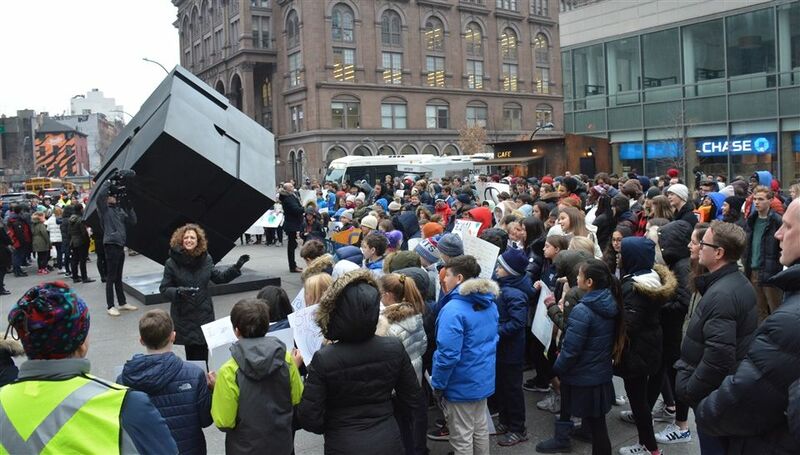 The Peace March route changed this year with students in the Middle and High School divisions meeting in Astor Place to join first in song and then in silence. JK-4 students marched from Tuttle up to 12th street and down Broadway into Grace Church where the Peace Chapel was held. 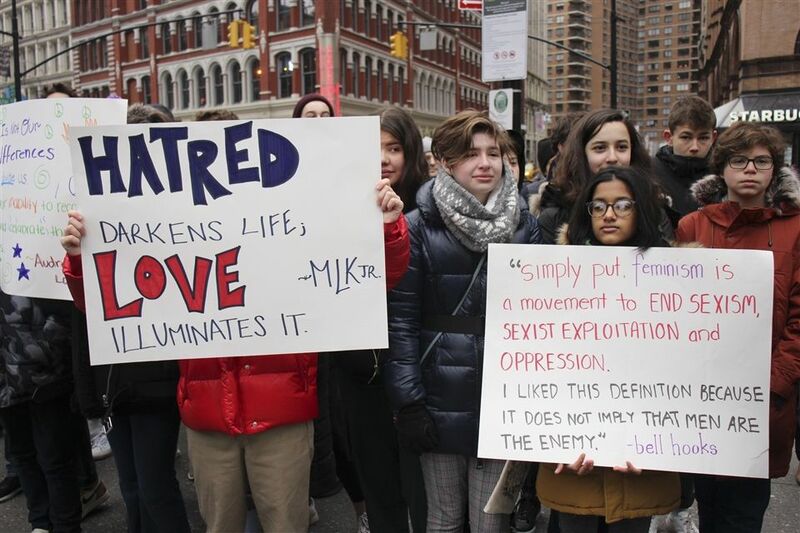 Weeks prior to the events, students reflected on how they, and the icons of various activist movements, use intersecting identities to create change. Early Childhood, Lower School, and Middle School students researched an influential person who embodies the teachings of MLK including John Lewis, Sonia Sotomayor, and athlete Wilma Rudolph. A new community art project was born from the theme this year. A large candle structure was built that mirrored the song "This Little Light of Mine," sung at peaceful demonstrations during the civil rights era, as well as our Chapel service on Wednesday. Students were invited to design a wooden cube answering the prompts "I am..." and "I will..." - to show how they intend to use their identities for the betterment of their communities. Fourteen students, one from each grade in the school, spoke their intentions to the audience in Chapel and added their cubes to the candle, completing the structure. One week later, high school students organized a symposium comprised of 31 workshops around themes of social justice and their lived experiences. Workshop topics ranged from mass incarceration to colorism. Keynote speaker and long time diversity practitioner, Dr. Phaizon Wood, addressed students in grades 8-12 and touched on the necessity for and challenges of anti-racism and the fight against bias.